Shaw Nature Reserve has 2,500 acres of natural and restored landscapes and managed plant collections. Pashek + MTR Principal Missy Marshall prepared the master plan for the entire Reserve as well as designing the Whitmire Wildflower Garden. The focus of the Master Plan was to develop a core of low-impact facilities from which visitors could more easily explore the natural beauty of the larger reserve. 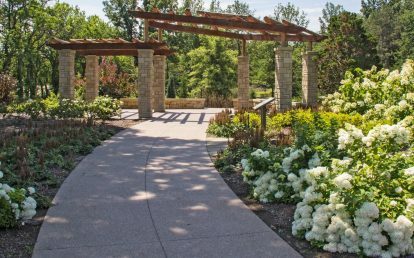 One of the first steps was to develop the Whitmire Wildflower Garden exhibit, which showcases several key natural environments of Missouri along an accessible path. 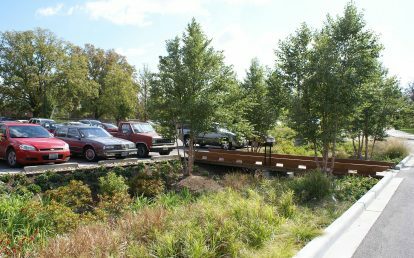 At the heart of the Reserve, the Whitmire Wildflower Garden offers approximately twenty-five acres of interpreted native plant gardens and landscapes, including five native plant community areas (woodland, wetland, glade, savanna, and prairie) and a learning garden area displaying native plants for home landscapes. 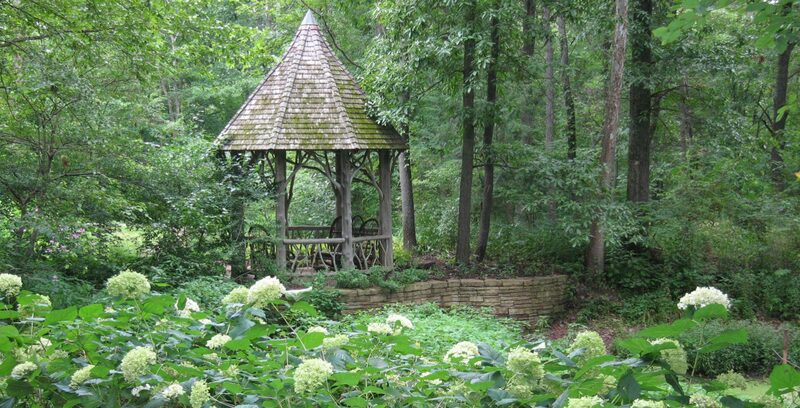 Rustic landscape structures, winding paths, naturalistic water features, and sculpture appeal to visitors of all ages. Details were scrutinized to make sure that all the work could be done with small equipment to minimize impacts on the site and existing trees that were preserved. 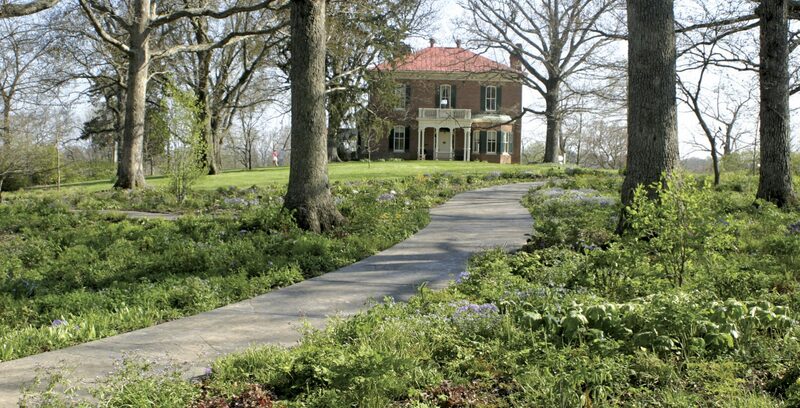 The Shaw Nature Reserve has become a center for landscape restoration for Missouri, working in partnership with the Department of Natural Resources and the Tyson Field Station of Washington University. 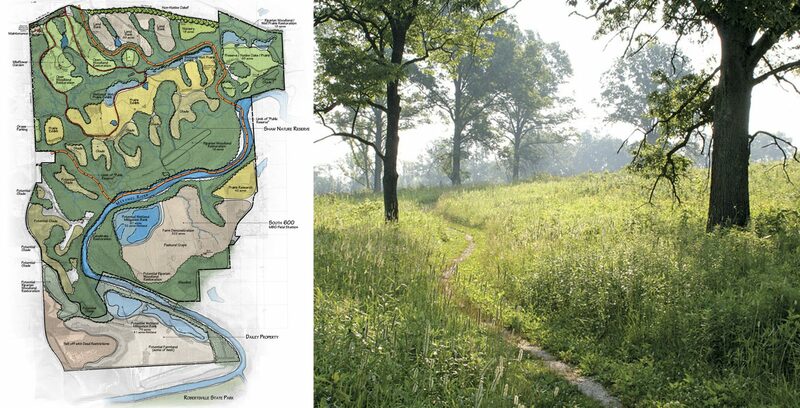 In order to accommodate research areas, we worked with the Reserve to update the Master Plan. 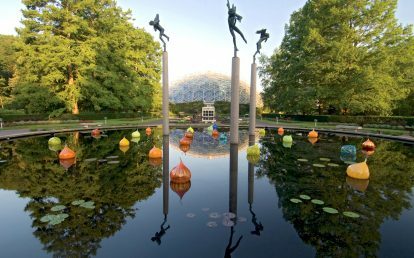 The land across the Meramec River will become the Missouri Botanical Garden Field Station for research and farm programs. The public areas have been defined to concentrate restoration efforts. Wetland mitigation banks have been set aside for purchase, and land has been banked for future use. The Reserve is also considering developing a green burial area in a natural landscape displaying Missouri’s native oaks and grasslands. 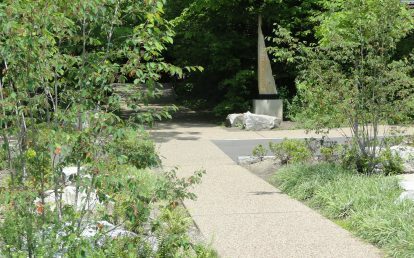 Nature Reserve with native plants garden and visitor amenities. Native plant gardens and restored landscapes, rustic landscape structures, visitor center, trails, research areas. Native plants, natural and local materials. Master planning, garden design, construction documents, construction observation. Roggenkamp, Kara and Scott Woodbury. 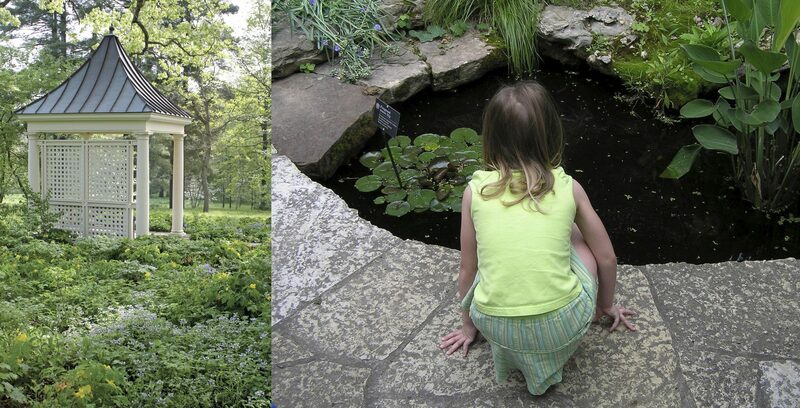 “Native Plant Gardens at Shaw Nature Reserve,” Public Garden, 24.4 (2009) pp. 12-14.